For centuries, the Dutch have been the nation well known for exploration and trade of various goods. Despite this, people in Netherlands tend to be very modest and self-disciplined, and it’s only in the past few decades the global consumerism culture took over the country by the storm. The shopping capital of Netherlands is of course Amsterdam. 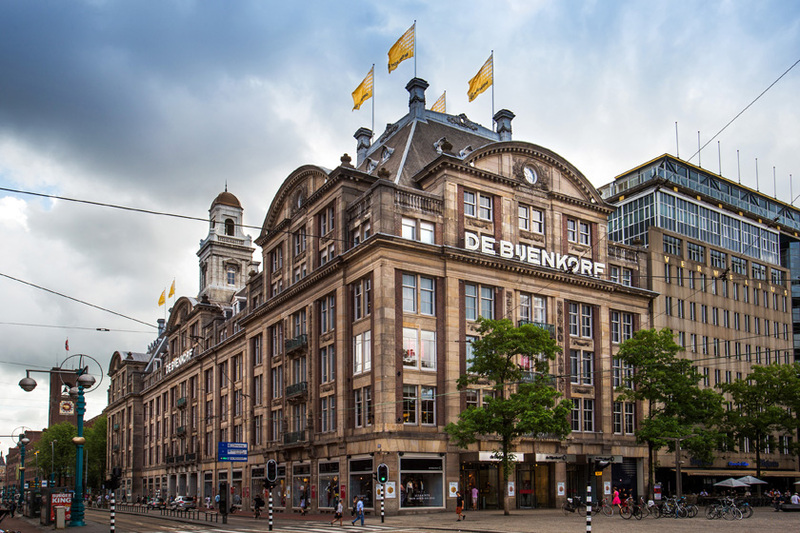 Besides rich cultural content, red light district and couple of dozens coffee shops, you can find all the top brands in various department stores, but also some products from smaller countries around Europe. 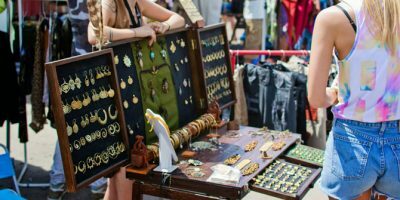 There are even organized thematic weeks in some markets that offer the merchandise imported from African and Asian soil. Shopping in Amsterdam may be pricey, but the good thing about it is that most of the shopping malls and department stores are located in city center’s vicinity, only a short walking distance from the Dam Square. This means that you can compare the goods from many department stores relatively quickly, so you can decide what is the best-buy for you. Located in Amsterdam’s very center, at the Dam square, this is one of the most notable shopping malls in Netherlands. The store originally dates back to the 19th century and it was initially a little shop that sold sewing materials and supplies. The building in which De Bijenkorf is located nowadays dates back to 1957 and is by itself a stunning piece of architecture (designed by Marcel Breuer). Have in mind that this is a luxury department store for ones with the deeper pockets. Stretching over 6 floors it contains restaurants, art galleries but also occasionally hosts some concerts and fashion shows. The interior design is very modern and meets the high standards of the merchandise sold in the stores. Also known as “The Royal Beehive”, this renown department store offers high-end luxurious products. However, if you don’t have money to burn, De Bijenkorf is still a must-see because of its breathtaking appeal and design. This shopping mall is a great example of how to restore a magnificent building and give it a completely new purpose. It was built in 1895-1899 in neo-renaissance / neo-gothic style and served as the Main Post Office, until the unexpected problems occurred and the engineers had to restore the building and replace its foundations. 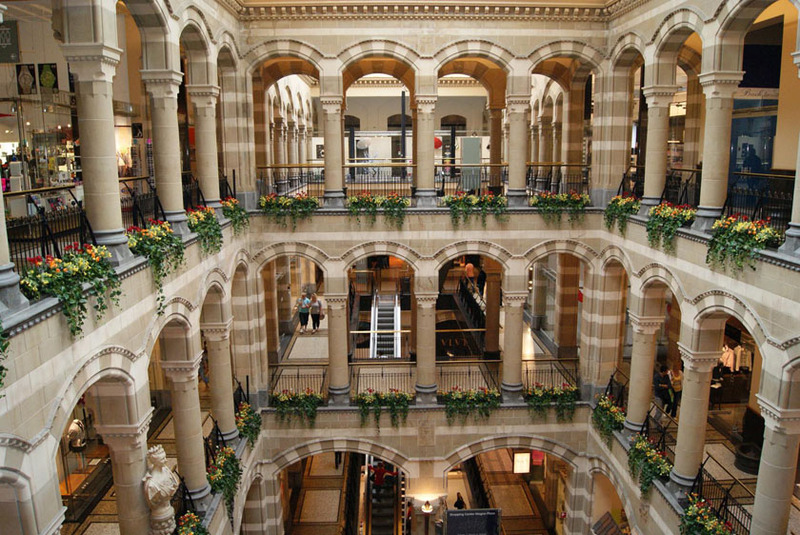 Magna Plaza is also located on the Dam square, has 3 floors with escalators. Besides the brilliance of the building itself, this is pretty much an ordinary shopping mall, but it still does retain a high-end style about it due to its gorgeous interior. And yes, you have to pay 1 euro to use the toilet here. To sum it up, a beautifully restored building with not so many exquisite shops, still well worth the visit! If you want to experience the true shopping spirit of Amsterdam The Nine Streets is a perfect area for you to explore. The Nine Streets are actually 2 streets that cross 2 canals, which divide this route in 9 small sections. They are located in city center’s adjacency, only a few minutes on foot from The Royal Palace. 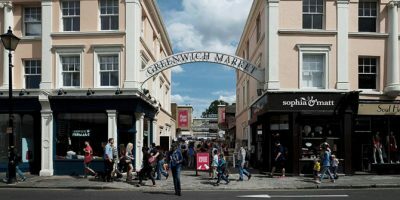 The streets are packed with designer fashion shops, beauty salons, restaurants and cafes suitable for refreshments while you’re on the shopping spree and many different specialty stores. 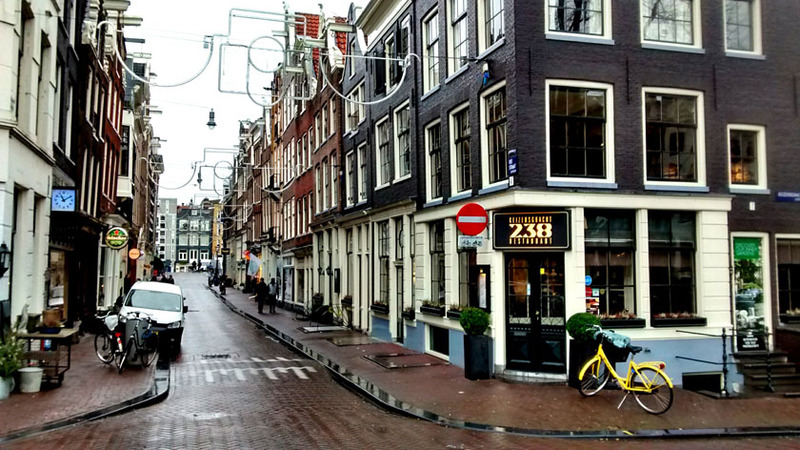 This is the part of the town where residents of Amsterdam come to eat, drink and buy their clothes. You can stroll through the area for less than an hour if in a hurry, but if you have enough money and spare time, you might spend the whole day here exploring! 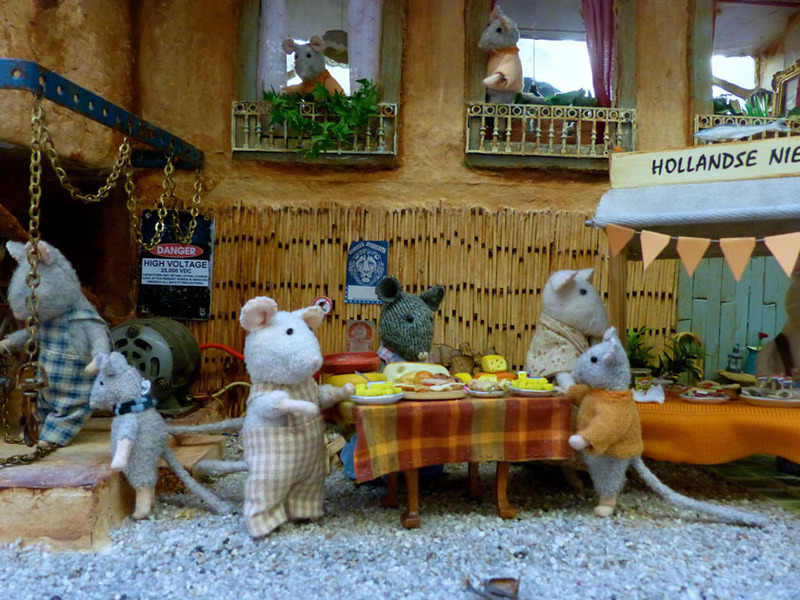 If you are in Amsterdam with little children, or you are just into miniatures do not miss The Mouse Mansion. This is a specialty store with unique and original concept, and is something that you cannot see that often. The amount of work put into these tiny works of art in order to create this mini world is truly unbelievable. The staff and owner of The Mouse Mansion are very polite and warm, and will gladly answer all the questions you might have about making of these incredible miniatures. This unique shop is a treat for children, middle-aged and older people alike. A perfect way to finish the long day of shopping is to stop by for some wine & cheese tasting. Golden Age Cheese Store has a special tasting room designed to improve your experience. 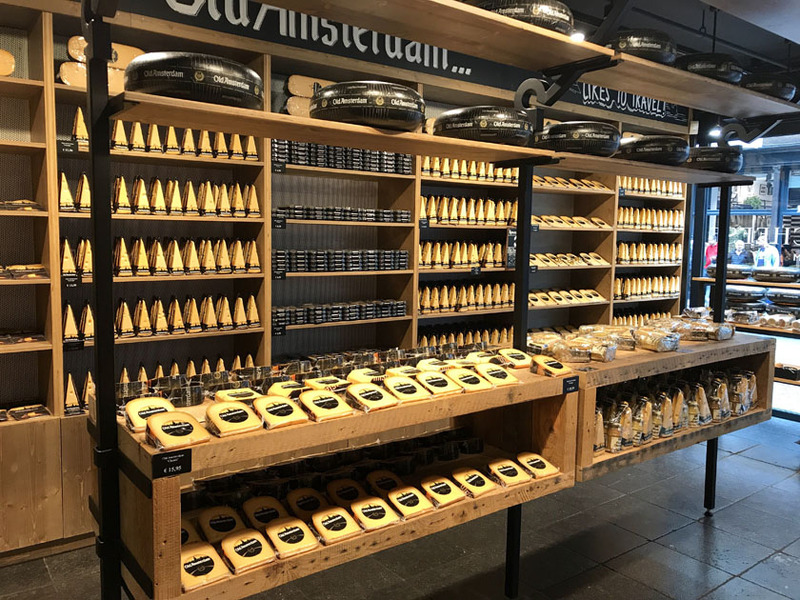 This delicious journey through the world of Dutch cheese lasts for an hour, and the hosts will make sure to educate you about what it takes to become an expert in cheese tasting. You will also learn about some cheese-making techniques and the differences between various sorts. Have in mind that you have to reserve this tasting experience, usually a day in advance, while you can sample various cheese brands when you are making a reservation. I Travel I Shop Copyright © 2019.